Our illustrated range has developed over the years, but our love of wildlife has remained the same. We’re passionate about conservation (see our Save the Bees badges) and love a bit of bird spotting (see our Garden Birds ranges). 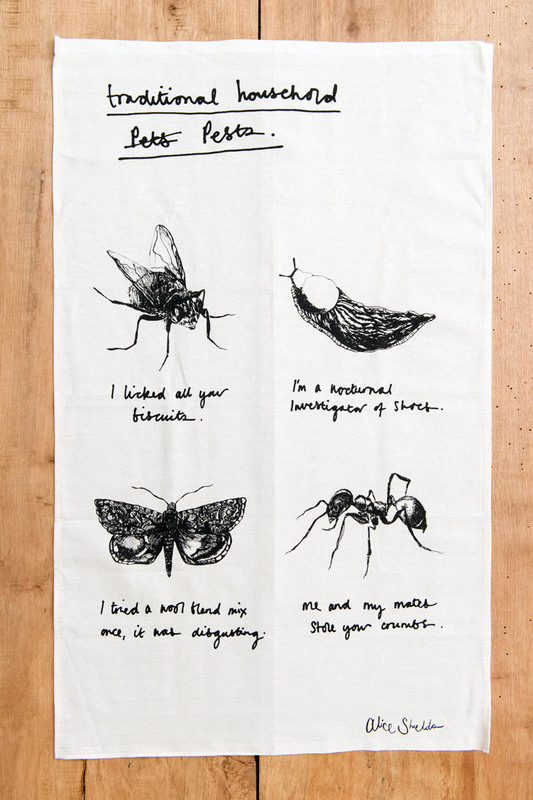 The range draws on our encounters with people, places and the misfortune of having a house infested with insects (see our Traditional Household Pests range). We love celebrating the minutiae of the everyday, favourite pastimes and characteristics of being British. Humour has always played a major role in our work as has our trusty box of watercolours and selection of fine ball point pens ... always ready in waiting for our next illustration.